I will be presenting material from my new ongoing project Double Ghosts at the upcoming AV Festival in March 2018. 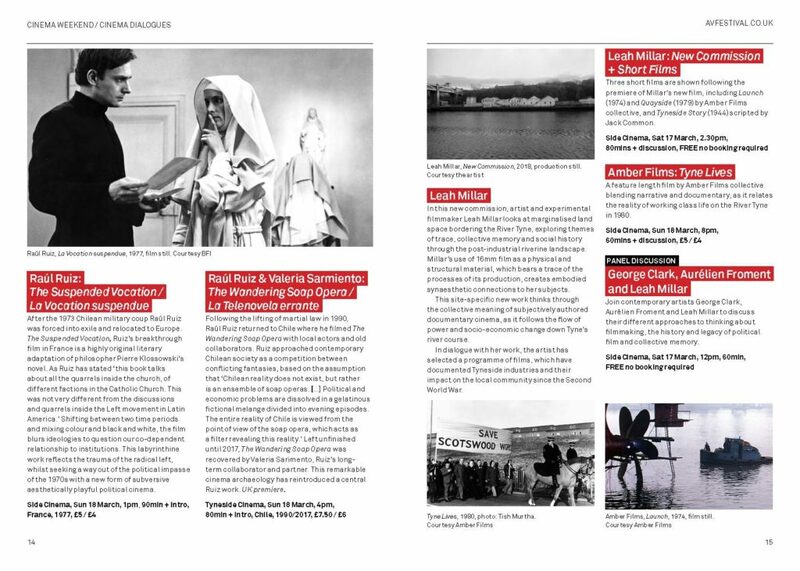 The screening launches a weekend of events 16-18 March exploring the history and legacy of political film, cultural displacement, collective memory and how cinema captures or reflects reality. 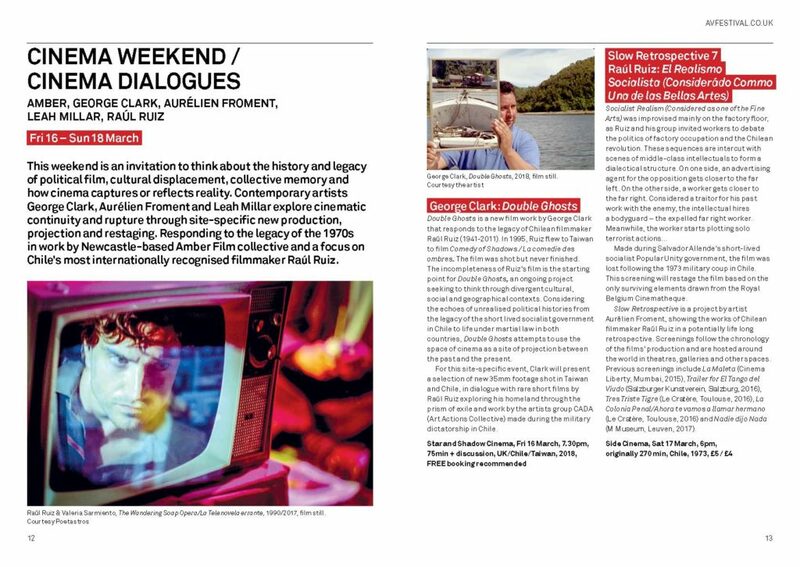 The following events were co-curated with AV Festival director Rebecca Shatwell to explore these issues in relation to the work of Raúl Ruiz. 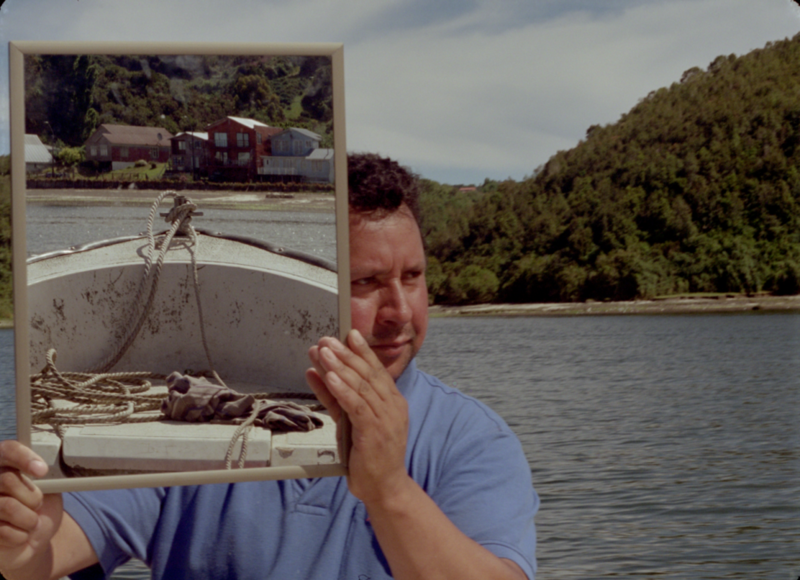 “Double Ghosts is a new film work by George Clark that responds to the legacy of Chilean filmmaker Raúl Ruiz (1941-2011). In 1995, Ruiz flew to Taiwan to film Comedy of Shadows / La comedie des ombres. 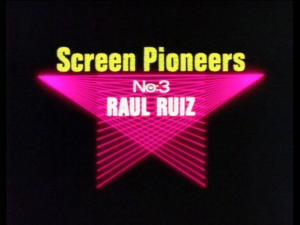 The film was shot but never finished. 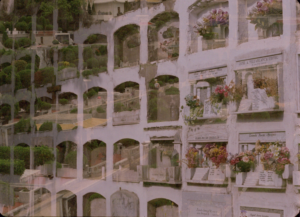 The incompleteness of Ruiz’s film is the starting point for Double Ghosts, an ongoing project seeking to think through divergent cultural, social and geographical contexts. 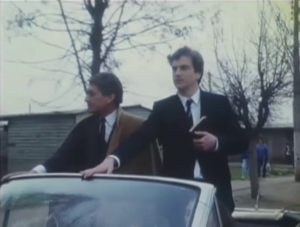 Considering the echoes of unrealised political histories from the legacy of the short lived socialist government in Chile to life under martial law in both countries, Double Ghosts attempts to use the space of cinema as a site of projection between the past and the present. 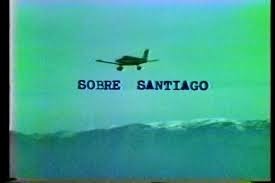 On July, 12th, 1981, six small airplanes, flying in perfect formation over Santiago, dropped 400,000 flyers discussing the relationship between art and society. This action referenced the bombardment of the House of Government (La Moneda), which marked the fall of Salvador Allende’s democratic government and the beginning of Augusto Pinochet’s dictatorship in Chile. 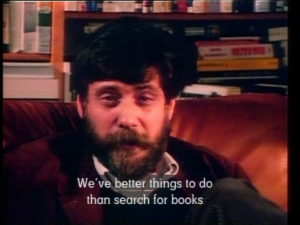 Through this ‘acción sobre arte y política’, CADA reconstructed the political trauma of 1973, while proposing a new critical political perspective. The flyers contained a message that simultaneously upheld each person’s right to a decent standard of living and proposed that the general public was capable of instating an entirely new concept of art – one that could overcome traditional, elite boundaries and become part of public life.